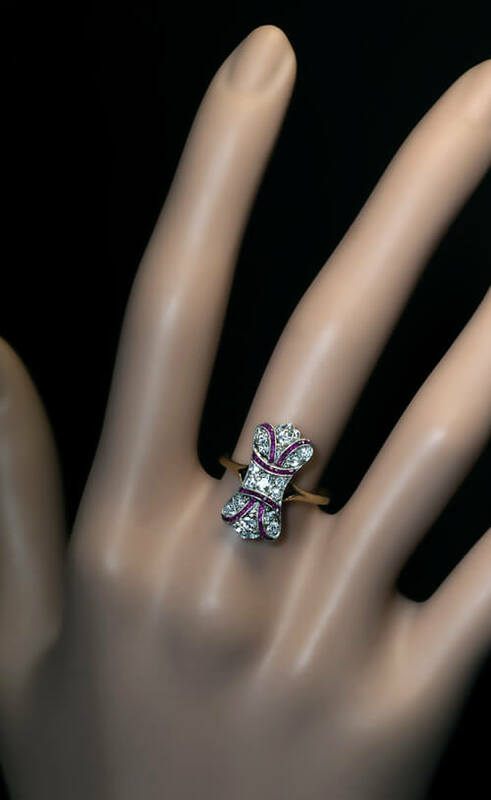 This delicate antique bow-motif ring from the Edwardian era is handcrafted in platinum and 18K yellow gold. 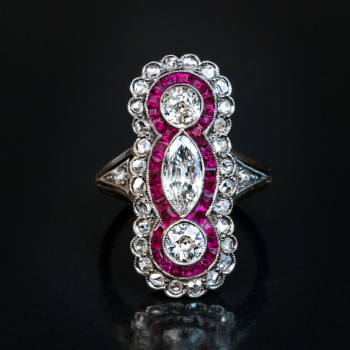 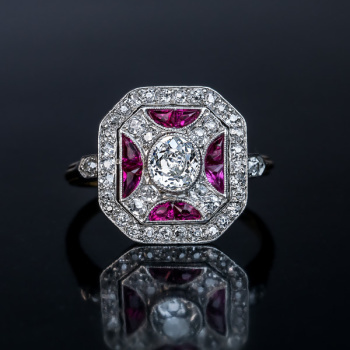 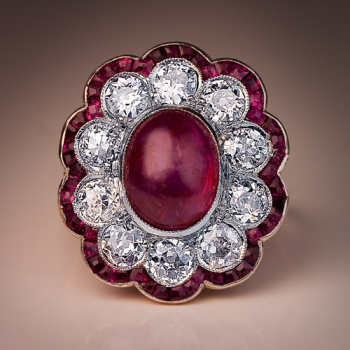 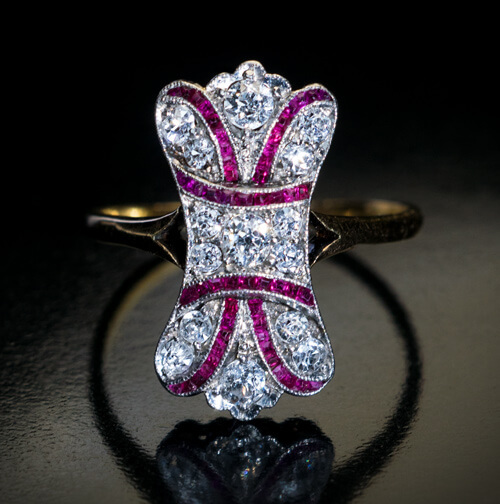 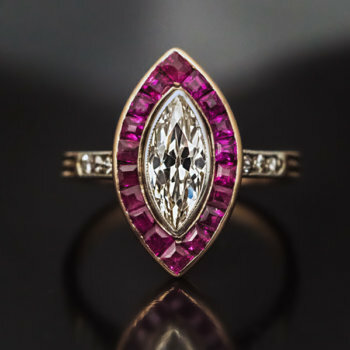 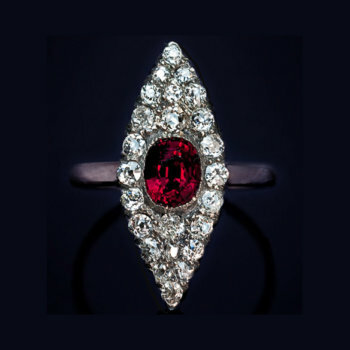 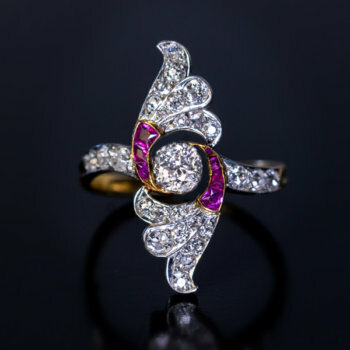 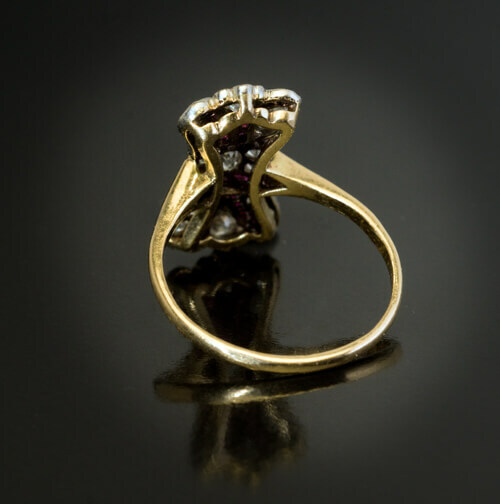 The ring is set with bright white old European and old single cut diamonds accented by channel set natural rubies. 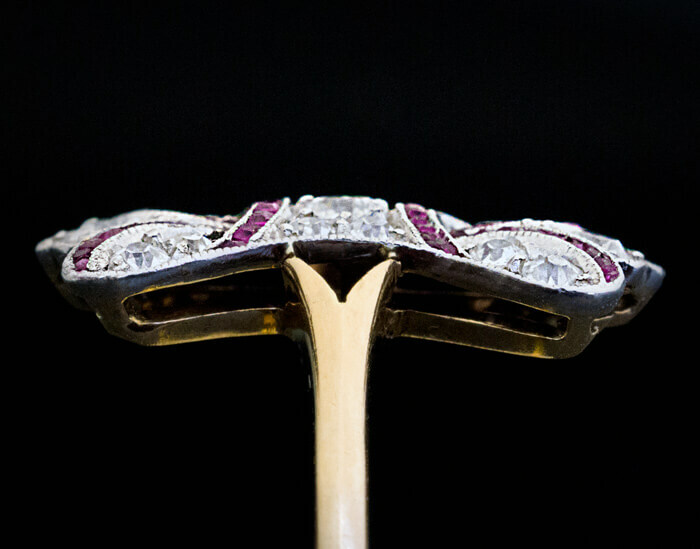 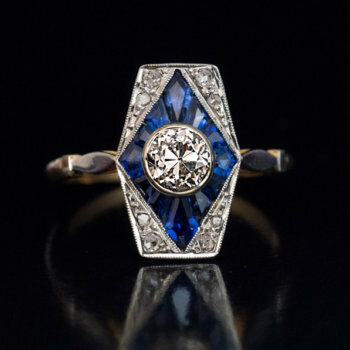 The ring is marked with later Soviet control markes for 950 platinum and 750 gold.